If a guy wants to get back in to the dating scene and possibly meet that special someone this season, he has to understand the basics for hygiene & grooming – a man’s bathroom is the best place to start to clean up his act and make him feel great. Following are a few products that we selected to help men who want the basics, simply to look good, smell great and be presentable. (Lab Series, Arm & Hammer, Reach, SoapStandle and Tapout). This is a good start for all men to know regardless of budget. Keep your cuspids and fangs clean before you howl at the midnight moon. 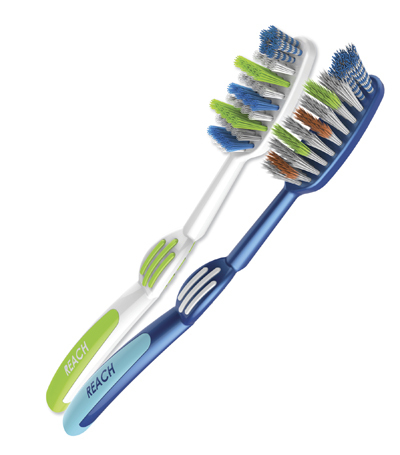 We tested the Complete Care Triple Angle Toothbrush by Reach. The outcome was outstanding next to a WaterPik or a trip to a dental hygienist. This toothbrush is designed with a three-angle brush for deeper reach and cleaning. 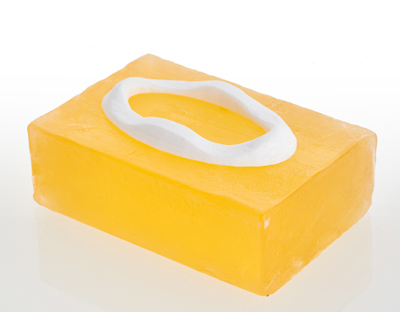 We also recommend that you use Glide Floss at least twice a day as well as a high-quality toothpaste. Tip: The Anti-plaque Toothpaste made with fennel, propolis & myrrh available at Trader Joes is worth a try and gets the job done with extra points for fresh breath and cost. Make sure that your dogs don’t bark at a potential date. Arm & Hammer makes a Shoe Refresher Spray. Put a can in your cabinet and spray your sneakers (preferably new ones) or shoes before you head out for the day or night. It’s sweat activated and controls odor. It’s also convenient for a gym bag. Please don’t let the shine on your face blind your potential romance. 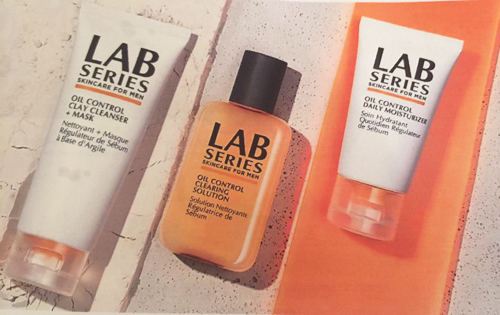 Lab Series Skincare for Men recently launched their 8-hour oil control system: It includes oil control clay cleanser/mask, oil control clearing solution and daily moisturizer. 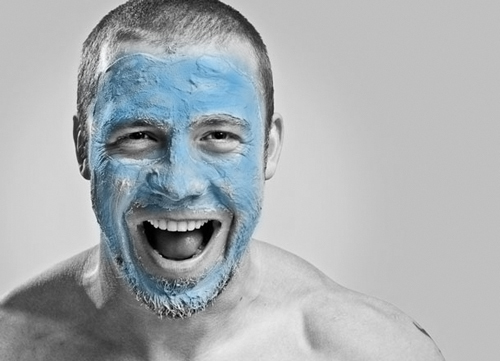 These products help men to remove the shine left by oily skin and provide a healthy complexion. The products help diminish oil on the skin that can also cause blemishes and acne — at any age. You don’t wear cologne? Well, we have news for you. You have to spray on something fresh before you leave the apartment and the gym — most specifically in the heat of summer. Once again, this is all about going back to basics and we hope this helps guys slowly venture in to more luxury items. For now, we recommend Tapout Focus with John Cena from the WWE. Tapout is a body spray that gives gents a fresh, just-out-of-the-shower scent. Tip: Apply organic antiperspirant, not deodorant. Read Metro Man every month for the latest in grooming, hygiene and menswear. Tags: Arm & Hammer, John Cena, Reach, Tooth brush Lab Series. SoapStandle, WWE.